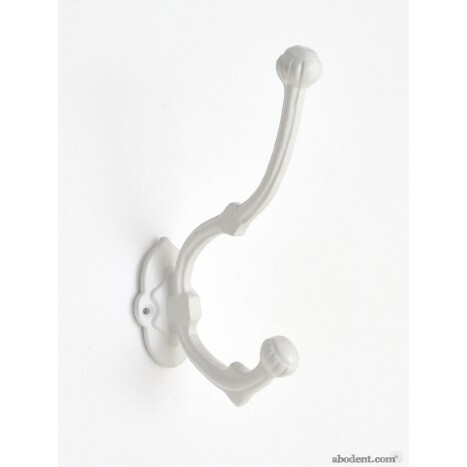 The solidness of the pure cloud white finish of this hook makes it so tactile you will never forget to hang up your coat. This strong wrought iron hook has been coated in a thick creamy paint to give it a unique matte white finish. Tags: white wrought iron hook, white metal hook, white wall hook, powered coated hook, heavy hooks, quality white painted hooks.